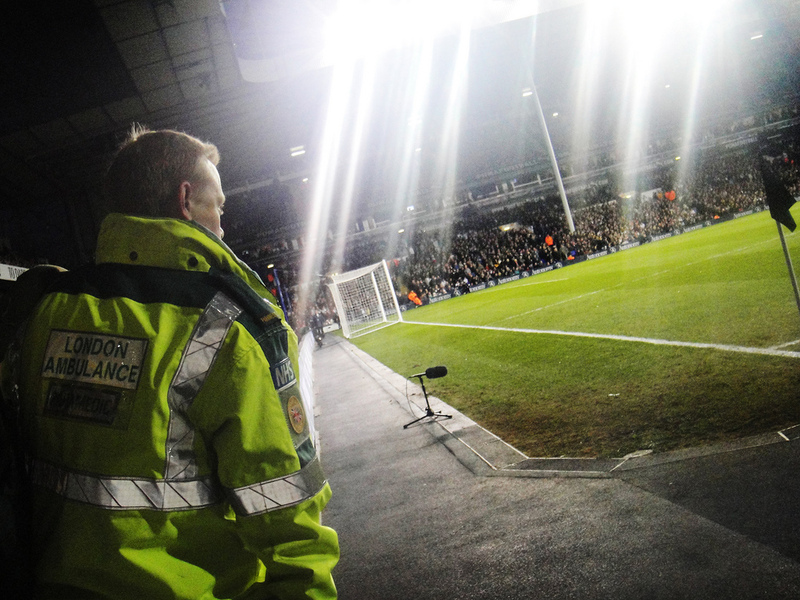 I was at White Hart Lane the day Fabrice Muamba dropped onto the cold evening turf, March 17th 2012, suffering a massive heart attack live in front of more than thirty thousand shocked fans. The incident occurred off the ball, but he was just within my line of sight, so I saw him drop to the floor. He hit the deck like a sack of potatoes – his hands didn’t even go out to stop himself dropping. Within a minute, every one of the supporters inside the stadium knew something serious had happened. The reaction of Kyle Walker particularly sticks in my mind – distraught doesn’t even begin to describe it. The first aiders were right on hand when Fabrice Muamba went down. When it became obvious that something was badly wrong, the crowd united in one of the finest displays of unity I have ever witnessed. 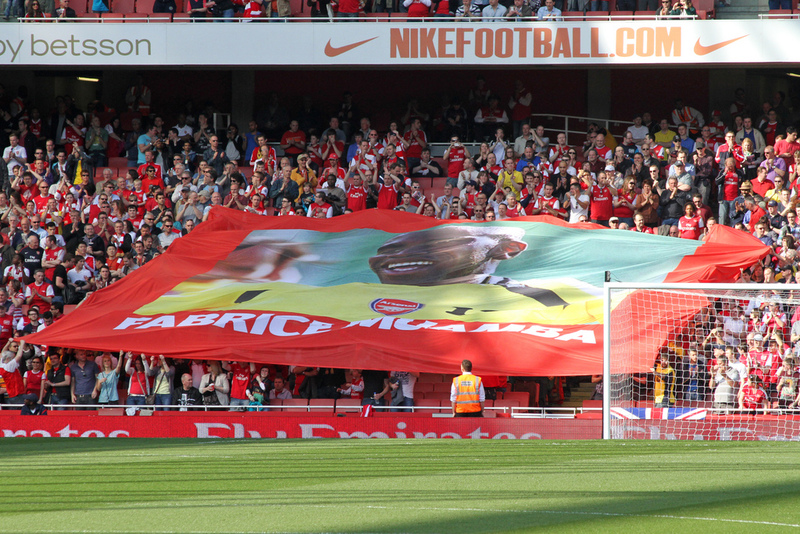 Both sides chanted his name “Fabrice Muamba”. It was electric, everyone coming together, hoping for a miracle – willing him to just stand up and walk it off. As it turned out, Muamba’s was in massive trouble – we’d later learn that his heart stopped beating for an incredible 78 minutes. After what felt like about 5 minutes of nervous waiting we made our way out of the stadium, having learned that the game had been cancelled. It was incredibly emotional and quite a few people had a tear in their eye. The first thing I did when we got back to the car was to pray for Muamba. I’m sure I wasn’t the only one. We knew there was little chance of him making it, but that didn’t stop the entire country getting behind him. PRAY FOR MUAMBA was all over Facebook for the next couple of days and the nation was moved. It wasn’t just the nation. It seemed like the world had also got behind the cause – even the Real Madrid players were pictured wearing T-shirts of support. When the news started to filter through that not only was he alive, but that he was eventually up and walking, it was fantastic! It felt as though all the prayers had been answered. In November 2012 Muamba returned to White Hart Lane, recovered from his heart attack but retired from football; I was there again. The emotion was just as strong and Fabrice could barely get any words out from choking back the tears. He wasn’t the only one – him being there was a miracle most of never thought we’d see. Once again, the atmosphere was electric as the crowd all come together to chant his name giving him a final send-off from professional football. I saw his fall happen live and I was privileged enough to see him return against all odds. That’s more than a lot of people saw – most of them would have just seen it on the news – but still there was much I wondered about everything that had happened in between his collapse and recovery. So when I realised he had written a book telling the full story, Fabrice Muamba: I’m Still Standing , I was keen to get my hands on it. It’s an autobiography which pieces together all of the story from the moment he went down on the pitch with the heart attack, through his recovery and beyond. He talks candidly about his family, his faith and his friends which pulled him through the ordeal. A lot of people will want to read the book, as I did to learn more about the miracle of his survival. It describes an incredible series of circumstances and events that, had they not occurred with regard to his medical care and his own body’s refusal to let go, he would certainly have died. Although Muamba was a fairly well known footballer in England, most people probably won’t know so much about his background. Interestingly the story of him growing up and becoming a professional footballer is nicely interwoven into the story of his heart attack. Despite playing for England at under-21 level, he was born April 1988 in Zaire. Growing up he rarely ever played football with an actual football – his friends would make one from bits of plastic bags and other rubbish. Zaire became the Democratic Republic of Congo following a revolution that forced Fabrice’s dad, and then him to seek a new life in England at only 11 years old, leaving behind his mum. When he got to England, he didn’t speak any English but was instantly put in a North London school. Against the odds, he’d go on to get 10 GCSEs. He was scouted by Arsenal and after an initial 6 week taster they told him not to get his hopes up of being signed on. Fabrice worked so hard that not only was he signed on for Arsenal, he made several first team appearances and represented England at under-21 level. His book is an enjoyable read, but it also has some serious messages – rightly raising awareness of heart problems (which many of us could unknowingly have) and CPR. The impression that you get from the book is that Fabrice is an extremely nice, sincere, down to earth individual who you could happily spend time with. His story is remarkable and inspiring, and well worth a read if you get the chance. Fabrice Muamba: I’m Still Standing is available at Amazon.